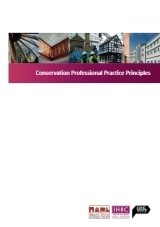 Conservation Professional Practice Principles was published by the Institute of Historic Building Conservation in 2017. Click on the image below to see the original pdf version. 2 What Does a Conservation Professional Do? This guide provides an overview of built and historic environment practice for conservation professionals across the United Kingdom. It has been developed to raise awareness of the skills and specialisms necessary to properly manage, conserve and develop historic places and buildings. It recognises international, national and devolved UK legislation, policy and statements, and how they operate in practice. Working with historic places and buildings involves a diverse and complex range of specialist skills, across different professional disciplines. It is essential to employ professional teams from the necessary disciplines, with historic and built environment expertise. Conservation sometimes can be portrayed inappropriately as being about resisting change and focusing on the past. Nothing could be further from the truth. Conservation can be at the heart of some of the most innovative and creative regeneration and economic development initiatives. It is not about resisting change, but about positive management of change for the future. Conservation professional practice is challenging, as demonstrated by the many considerations set out in this guide. This requires not just depth of knowledge, but also breadth, due to the wide scope of decision-making. Good conservation practice is not about viewing heritage and cultural values in isolation, but considering these as an integral part of planning, place-making and helping places and buildings to adapt to modern needs. This integrated approach is at the heart of specialist, professional practice. The guidance has been prepared by the Institute of Historic Building Conservation, the Historic Towns and Villages Forum and Civic Voice. The Institute of Historic Building Conservation is the UK multi-disciplinary professional body for practitioners from all sectors with specialist conservation and heritage interests. The Historic Towns and Villages Forum is a UK membership body that includes corporations, private firms, local government and community organisations, ranging from global to neighbourhood levels. Civic Voice is the national charity for the civic movement in England, its goals being to make places more attractive, enjoyable and distinctive and to promote civic pride. These bodies indicate the diversity of interests in heritage care, from professionals to owners and communities. 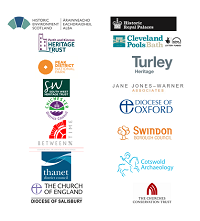 The membership of these organisations includes various built environment professionals, developers, local civic and community organisations, local authorities, professional firms, and other bodies with an interest in heritage. This guidance is aimed at anyone with an interest in heritage, including those procuring work, managing assets, providing professional services or participating in local societies. 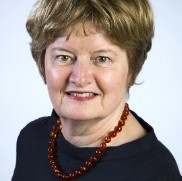 The Herbert Lane Trust is thanked for partly funding the development of this publication. What Does a Conservation Professional Do? The scope of professional practice for conserving historic places and buildings is wide. The following list of activities is intended as an illustration of some of the common areas of practice. Not all of these activities will be within the primary skill sets of all practitioners. Accreditation in a primary area of practice should guide clients and employers on the lead skills of the practitioner required (such as architecture, planning, surveying, archaeology, engineering and other disciplines). Advice: Interpreting heritage protection and other planning legislation and policy, and providing advice on the management, adaptation and use of historic buildings and proposed changes to historic areas, including new development. The scope of advice can cover all of the issues raised in this guide and more. Advising politicians and elected members: For professionals working for local or central government, part of the role can involve advising elected members on planning policy, planning designations (e.g. 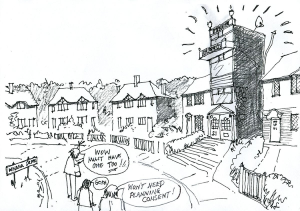 of conservation areas) or planning applications. This involves advice on planning legislation and special statutory duties relating to heritage and associated cultural values. Such specialist advice is essential in ensuring that elected members make well-informed and lawful decisions. Defining special interest: Analysing and defining the special architectural or historic interest of historic places, buildings and structures in line with law and policy. This can include, for example: townscape analysis; historical research; archaeological investigation; study of construction and materials; identifying underlying planning or architectural theories and principles; evaluating community interests; or assessing urban design. Statutory applications and assessing impacts: Whether preparing applications for planning or listed building consent, or dealing with these, comprehensive knowledge of planning and development is required. This includes an understanding of how heritage protection legislation and policy interact with wider planning legislation and policy. It requires cultural heritage values to be considered within and against the context of the widest range of planning and design concerns (social, economic and environmental). Grant schemes for buildings and areas: Preparing applications for funding bodies, establishing schemes and managing historic building and area grant schemes. This requires specialist knowledge of historic buildings, structures and areas, and also other skills like business planning, programme management and financial management. Policies: Statutory policy and guidance on heritage can be included in local plans and, in England, neighbourhood plans. Policies affecting heritage are not just those specifically about conservation, but also those dealing with issues like growth, change of use, infrastructure and urban design. Integrating heritage with wider social, economic and environmental policies and strategies is necessary to make policies effective and help deliver conservation outcomes. Economic viability and deliverability are key considerations in plan-making. Business plans for heritage assets and resources: Preparing business plans for the conversion and reuse of heritage assets and resources can include consideration of the capital (construction) stages and revenue projections for the future operation of a facility. Such plans need to be based on a clear understanding of the issues and costs involved in the conversion and operation of historic buildings, in addition to more common business planning issues. Evidence bases: Preparing heritage evidence bases is an essential part of preparing for local development plans and, in England, neighbourhood plans. This can include identification and analysis of heritage assets and resources, use trends and vacancy, and consideration of economic viability based on analysis of the local land economy. Building surveys: Surveys of buildings at risk and other comparable condition surveys of historic buildings and structures can identify defects, highlight underlying viability issues, and inform building management and/or adaptation. Designations: Conservation professionals support and advise local and national authorities in undertaking local designations, such as conservation areas and the compilation of lists of buildings of local interest, or local lists, as well as helping advise on the identification and designation of nationally significant fabric and places, for example listed buildings and structures. This involves assessing the special interest that might justify the designation. It also involves consultation and consideration of the wider dynamics of an area and the impacts that designations can have. Creative solutions: Working with heritage is about reconciling the different requirements of building owners, users and occupiers, within the framework of planning and other legislation, and against the context of other considerations, such as public interest and economic viability. This requires a creative and flexible approach. Most heritage assets are capable of being used and are economically viable. 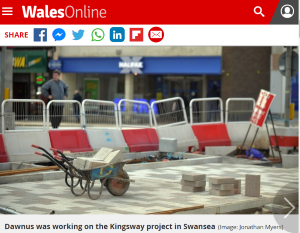 Where this is not the case, creative strategies are required, which may include grants, fundraising, phasing, temporary uses, partnerships or setting up community organisations to take on and develop heritage assets and resources. 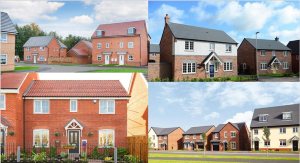 Design: Design can cover new buildings, extensions, alterations and improvements, urban design, landscape, public realm and other changes that have an impact on historic places and buildings. It requires an understanding of how heritage fits into wider place-making, including how buildings and places work, aesthetics, economics, sustainability, use, movement and other factors. Consideration of the different dimensions of design is a fundamental part of conservation professional practice. Stakeholder and community engagement: Engaging with communities and stakeholders is an essential part of planning, project design and development, designations and ongoing management of historic places. Early stakeholder and community engagement identifies issues, views and relevant information. Later engagement can involve local people and stakeholders in looking at options and finding solutions. Late-stage consultation can test things like planning policies, project proposals or masterplans. Repair specifications: The specification of repairs to historic buildings requires knowledge and understanding of the building technologies utilised in their construction and the specification of repairs, using appropriate techniques and materials. It also requires an understanding of the craft skills, techniques and practices necessary to undertake works to historic buildings and structures. Preparing plans: Design professionals can be involved in preparing scale plans of existing buildings and places, including plans, elevations and sections. They also design alterations, refurbishments, extensions or new development. This requires an understanding of the processes of change that created the historic environment. Design is about reconciling functional, economic, social and environmental factors and creating places and buildings that support current and future needs, all within a framework informed by sustainable development. Project development: Developing schemes for historic places and buildings requires a wide range of project skills, in addition to an understanding of the cultural value of heritage assets and resources. This is necessary to manage different stages, including the design process, repair specifications, business planning, project planning, costings, quality assurance, procurement of professional teams, contracts and other activities. Project and contract management: As with project development, project management requires project skills to be meshed with an understanding and empathy for dealing with historic places and buildings. It also demands an understanding of the importance of clear specifications and application of quality assurance measures. Heritage statements and conservation management plans: These and related terms describe a range of heritage and conservation documents. A heritage or conservation management plan may define the special interest of a heritage asset, and set out strategies for management, maintenance and adaptation. It can also deal with issues like procedures and responsibilities for gaining consents and following legislative requirements (for example for major infrastructure projects). It can seek to reconcile different social, economic and environmental aims with ongoing use and conservation. Care is required, as the meaning of the term ‘conservation plan’ varies greatly in different contexts. Urban design analysis: Urban design analysis includes assessing townscape characteristics, which are an important part of defining special interest or significance. Urban design analysis also identifies uses, movement and the ways in which an area functions. This is an essential basis for planning change and development in historic places. Site management: Managing construction on-site includes supervision of suitably skilled construction staff, health and safety compliance and quality assurance. Retrofitting: This is about designing and making changes to historic buildings to improve their performance in terms of carbon use. It can include improving insulation, installing more energy-efficient heating systems, heat recovery and other measures. 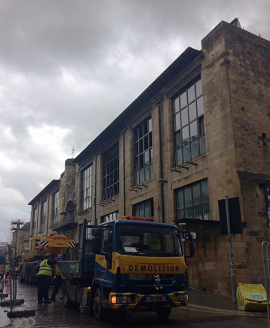 The challenge is to upgrade the building, whilst maintaining its heritage value, and without causing long-term damage through using inappropriate materials. Constructional impacts: When undertaking construction works, it is sometimes necessary to assess impacts on heritage assets and resources (such as land movement and vibration) and specify or agree protective measures and methods of monitoring. Recording and documentation: Recording and documentation of assets and resources, and of works undertaken, are critical stages in their understanding, care and development. They can involve the use of text, photographs and digital records and projections, and other media, to create a record of the current state of historic assets as well as the impacts of any works proposed or undertaken. Conservation specialists work across the public, private and voluntary (not-for-profit) sectors, including in government at different levels. They also include people from different professional disciplines, for example historians, surveyors, town planners and architects. Working with heritage involves making informed judgments and compromises, to achieve the best overall outcomes. Heritage and conservation practices are often undertaken by people who have a much wider professional interest than heritage alone, but with conservation as one of their recognised specialisms. It is essential to identify the professional disciplines needed to undertake different tasks and then appoint individuals or teams within those disciplines, with appropriate specialisms and experience in heritage. For example, designing new architecture in historic places or extensions and alterations would normally be done by an architect. Interpreting heritage legislation and policy or supporting neighbourhood plans would normally be done by a town planner. On-site project management or costings would be done by surveyors. Scoping heritage values and significance would normally be done by architects, conservation planners, architectural historians, archaeologists or other built environment professionals with specialist knowledge, according to the asset or resource under investigation. Other professionals for specific tasks could include engineers, lawyers and more. In addition, there are heritage-specific qualifications. These different disciplines have their own professional bodies, qualification requirements and professional codes of conduct. This helps clients understand just who may be able to carry out work within their professional discipline to an appropriate standard. Membership of the IHBC indicates professional competencies in dealing with the built and historic environment, its places, buildings and structures, while accredited membership offers relevant quality assurance, in addition to any core professional memberships. One of the key elements of professionalism is to understand the scope of particular disciplines and to identify where other disciplines need to be utilised. A failure to bring in the required mix of professional skills and disciplines to a project represents bad practice, with an associated risk of failure and harm to the heritage asset, and possible professional misconduct. A fundamental part of practice for the conservation professional is to identify the various values of heritage places and buildings, especially in the context of change, as this forms the basis for offering advice and making judgments. For most owners, their primary motivation for taking on a heritage property is to use or occupy it, for example as a home, business premises or recreational facility. For a significant proportion of heritage property owners, investment value can also be an important consideration. For commercial property owners, this would be the prime motivation. For home owner/occupiers, it is perhaps more likely to be a secondary motivation for many. The actual heritage value may or may not be a factor in a prospective purchaser’s choice to take on a heritage asset. It is essential to understand these key motivations. They shape the future of heritage and the historic environment, both for professionals working for building owners and for those involved in negotiations with them. One of the key challenges for specialist conservation and heritage professionals is to find solutions that reconcile heritage values and considerations with the need for places and buildings to adapt so as to be functional, convenient and genuinely sustainable. For example, offering an appropriate quality of accommodation for those that own, occupy or use heritage properties is important in securing economically viable uses, essential for their survival. Most owners work within the statutory framework for heritage, though there are also cases of deliberate neglect, which may need to be addressed through appropriate market or statutory processes. Working with owners requires skills in negotiation and persuasion, in addition to explaining or applying statutory enforcement. Most historic places and buildings are in everyday use and so possess utility value. They have economic and social value as work space, places to live, community facilities, recreational space, infrastructure and numerous other uses. It is through their use that they help to generate growth and support our needs for everyday living. Utility value can be closely related to commercial value. Utility value is also related to the socio-economic values of heritage in the present. Quite simply, many of the uses accommodated by historic places and buildings provide social and economic benefit to society. Property can offer high returns as an investment, though there can be risks too. Understanding of the property and land economy in an area is of fundamental importance when considering the viability of heritage. Historic places and buildings play a key role in the regeneration of cities, towns and rural areas all around the UK. Historic buildings have often undergone repeated adaptations and have proved to be durable and flexible to changing needs. However, with the proliferation of new materials and technologies, special skills are required to ensure that new adaptations do not threaten the future of the fabric. In areas of market failure and deprivation, heritage can be a key to regeneration. Low rentals in declining industrial or commercial historic areas can provide flexible and affordable floor space. This is essential to supporting new and small businesses, creative industries, innovation and knowledge-based employment and social enterprises. 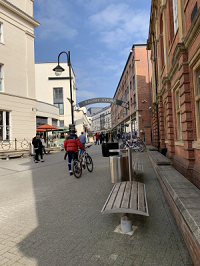 Such areas exist on the periphery of many town and city centres and can be an incubator for enterprise, sometimes leading to dramatic physical and economic transformations. Area enhancement or regeneration initiatives and grant schemes to improve and enhance heritage can help to create confidence, improve image, attract investment and act as a catalyst to reverse economic decline and trigger restructuring. Heritage-led schemes provide a different kind of economic development, and are distinct from comprehensive redevelopment. In particular, historic areas are often closely related to creative industries and knowledge-based enterprise, including a diverse range of micro- and small businesses. The historic environment creates places where people choose to live, work, invest and spend recreation time. There is a direct relationship between the quality of the built environment and an area’s ability to attract investment and achieve economic development. A well-maintained historic environment helps to project a positive image, create investor confidence, attract high-value jobs and improve competitiveness. Historic building refurbishments and conversions in small settlements and rural areas have helped to accommodate new uses, facilitating rural economic diversification. High-quality historic environments can serve as a focus to attract shoppers and visitors, enhancing the viability of town and city centres. Places with high-quality heritage resources can have a competitive advantage, commercially. Historic buildings and areas tend to accommodate independent retailers and other businesses, helping to avoid the creation of ‘clone towns’. Historic areas often provide the focus for leisure facilities, from theatres and art installations to restaurants and bars. Historic buildings, areas and waterways can serve as catalysts for the repopulation of inner-city areas and development of new and sometimes more specialised housing, retail and leisure markets. Historic places and buildings attract visitors and support tourism, including from oversees. Tourism is an important sector of the economy across the UK and beyond. In many areas, local businesses are highly reliant on visitor footfall. There is a wide public acceptance that we have a duty to conserve the built heritage for current and future generations. People are very willing to support heritage protection, including modern buildings, when fully informed of their values and potential. Historic buildings and places have intrinsic value in their own right as the fabric of human achievement in arts, design and construction, essential to the spiritual and cultural well-being of the nation. Conservation of distinctive local identity helps to maintain a sense of place and foster local pride. Under-used historic buildings can have their values enhanced where local voluntary groups and third-sector organisations, such as building preservation trusts and development trusts, provide community facilities for local people to improve their skills and opportunities. The historic environment provides a tangible resource for the teaching of social, economic, political and human history, helping to create a better understanding of contemporary society and contributing to effective school, continuing and adult learning. Specialist shops and businesses providing low-cost or minority-interest goods and services (for example vinyl records, musical instruments, ethnic foods and fashions) are often to be found in older, more peripheral areas of town and city centres, where rentals are lower than in comprehensively redeveloped areas. Preserving older buildings and places helps to support choice and diversity. Conservation practice – including care, repair and improvement – creates more skilled jobs (professional, technical, skilled manual and vocational) as well as employment in craft-based and related inherently low-carbon industries. At the same time, there is less emphasis on the use of physical resources than is the case with new-build development. Therefore, building refurbishment generates higher levels of pay and investment in local economies. Investment in historic places helps to support local businesses, industries and communities. The conservation and refurbishment of historic buildings is an intrinsically sustainable form of development, minimising the use and waste of scarce resources associated with demolition and redevelopment, and helping to achieve sustainable growth. The investment of energy in the construction of historic buildings has already been made, and in many instances has resulted in very durable structures, some of which have lasted for centuries. Such structures can require less maintenance and have lower lifetime costs than a new building would. In ordinary circumstances it is fundamentally unsustainable to destroy such buildings and replace them with less durable ones, even if the new ones are constructed using low-embodied-energy materials. Historic and traditional areas were designed for a low-carbon economy in terms of movement and activity patterns, usually having urban design characteristics based on the needs of pedestrians, with rear-of-pavement frontages and permeable layouts. Older areas tend to provide a fine grain of mixed use. Historic settlements usually also contain a concentration of community facilities in easy walking distance. As such, managing traditional areas in accordance with their historic characteristics helps support sustainable development through sustainable lifestyles and activities. Historic environments and buildings are part of what gives different places their own distinctive character. The combination of buildings, townscape, spaces, streets, landmarks and other features create local distinctiveness. Local character is based on a mix of local vernaculars, shaped by local materials and construction methods, and more formal architectural designs, which can owe more to national or international trends. Conservation practice is about trying to ensure that the cultural or heritage value of a place or building is conserved. A term typically used in planning legislation protecting historic buildings and areas is ‘special architectural or historic interest’. Planning policy also refers to ‘significance’, which reflects and encompasses various factors that can contribute to ‘special interest’. To understand special interest and significance, it is important to understand the ideas or history that created a place or building. Buildings and places may reflect different movements or trends in architecture or town planning. Understanding how the layout of an area or design of a building fits into this helps in the assessment of ‘special interest’. For example, leading works in a particular movement will be of particular importance. This could include seminal architectural works or layouts associated with particular periods or approaches. An important component in understanding the special interest of more urban areas is to look at townscape and spatial characteristics of streets, spaces and the public realm. This includes enclosure and definition of streets and spaces by buildings and other features, as well as key public spaces and other townscape characteristics. For example, some traditional layouts of the 19th century are based on high-density urban perimeter blocks, with rear-of-pavement frontages, whilst the theories of the Modern Movement sometimes led to free-standing buildings in open space or the separation of pedestrians and traffic. For more rural areas, the relationship between historic or archaeological structures or places and their natural setting can be critical to their understanding and conservation. Adjustments to that relationship, through for example the introduction of new developments, need to be considered with particular care. For buildings, the spatial and other formal characteristics of the interiors can be an important part of the special interest. For example, this could include atriums, stairwells or the ways in which rooms are defined or aligned. The materials of buildings, ground surfaces and structures need to be understood. Materials reflect the building technologies and trends of the time. This includes structural and constructional materials and surface materials such as plasters and other finishes. An innovative use of materials, or the introduction of new materials or methods of construction, can be important factors in a building’s special interest, as can the design of windows, decorative features, chimneys, curtain wall detailing and other features. The ground surfaces, walls, seating and other features of public spaces can contribute to their special interest. Some areas and buildings have associations with famous people. This can include people involved with their commissioning and design, such as well-known architects, designers and patrons. Occupants also can add to the special interest: for example, well-known musicians, politicians, scientists or authors. Similarly, spaces or buildings can be associated with famous events, or could just be well known as key public buildings. The extent to which a building or place has survived in its original form can be an important factor in assessing special interest. Buildings and places in a relatively original form normally have greater levels of special interest, though often very specialist knowledge and investigation is required to establish the extent of any original fabric or form. Sometimes alterations – modern as well as historic – can enhance the special interest. An example of this is the central court of the British Museum, with its innovative glass roof, which adds to the building rather than replacing original fabric. Scarcity is also a key factor in determining special interest or significance. Scarcity can be a result of few buildings of a certain type being built, such as structures developed to address specific, time-limited industrial need. Equally, it can be a matter of age and survival, where most buildings from a period have been demolished, so that even mundane surviving buildings have value. Conservation practice involves managing and maintaining places and buildings, and planning for their future. Heritage has cultural values associated with the past, but is also part of the infrastructure of modern society and a fundamental resource that underpins its sustainable future. Therefore, heritage is an economic resource in the present, with social, economic and environmental values. The challenge for heritage professionals is to conserve cultural values whilst allowing places and buildings to adapt where appropriate or necessary, so that they remain fit for purpose, accommodating society’s changing needs and demands. Consequently, specialist built and historic environment conservation practice is fundamentally about reconciling values, by addressing heritage values in the context of utility values, investment values, economic values, social values, environmental values, legislative requirements and the other requirements of those that occupy and use heritage. To make good-quality judgments about potential changes to heritage, it is essential to consider the impacts of those changes against a wide social, economic and environmental context. Focusing only on cultural values can lead to poor-quality and unsustainable decisions because it considers only a small part of a complex process. In some instances this can result in heritage assets and resources becoming non-viable, threatening their survival. Fundamental to this is the recognition that change created our historic environments and that change is an essential part of managing and developing those environments. Professional practice encompasses a wide range of activities that can fall within the professional discipline of the practitioner, from project design issues such as understanding values, to delivery, which can range from economics to health and safety. Understanding the scope of a practitioner’s own professional discipline, and where professionals from other disciplines need to be brought in, is an essential part of professional practice. Practice involves finding creative solutions, as well as negotiation and compromise, in order to find optimum outcomes for heritage assets and resources. Various factors need to be considered, as discussed in the following section. The philosophical basis for conservation must be understood, though it is equally important to apply conservation philosophy in a flexible and pragmatic way. The basis for the modern conservation movement lies in the 19th century, with various principles being set out by the Society for the Protection of Ancient Buildings, often referred to as the SPAB philosophy. These principles have fabric retention and conservative repair – the precautionary principle – as their basis, in addition to avoiding falsification of history in new work. Area-based conservation has its roots in the work of Sir Patrick Geddes (1854–1932), the pioneering Scottish town planner and, among other things, biologist. Geddes developed a place-improvement process of ‘conservative surgery’ which first studied the area under consideration, identified its potential, and then worked to enhance its amenity by selective, but often substantial, adjustments to its form, function and use. That approach served as a stark contrast to more typical and grandiose urban improvement schemes such as those exemplified by Baron Haussmann in 19th-century Paris. Other common conservation principles include use of well-established and appropriate repair techniques; ensuring heritage assets have sustainable uses; reversing previous harmful alterations; and reversibility – making sure alterations are designed around historic fabric so that they are easy to reverse in the future. In practice, such philosophies have to be applied flexibly. For example, in conserving structures that use materials with shorter life spans, extensive replacement may sometimes be necessary and even desirable to help maintain the original concept and values of the building. Whilst different people may have different views on how philosophy should be applied, a thorough knowledge of different philosophies is an essential basis for decision-making. When designing, managing or assessing changes or additions to historic places and buildings, it is necessary to make balanced judgments in line with the heritage and cultural values already discussed here. This means assessing impacts on the heritage value (special interest or heritage significance) of the place or building. The fundamental aim will be to reconcile heritage value with utility and other values. The cultural value in heritage, its special interest or significance, is based on understanding the past. It is necessary to understand the historical context and value of heritage as a basis for making balanced judgments on changes and management. This includes an awareness of different architectural, planning, social, cultural and other movements over time. Historical understanding also relates to the radical changes in society, technology, and urban and rural environments over time. Such changes created the historic places we now seek to conserve, as the historic environment is in constant transition. Part of assessing heritage value is understanding the ways in which places and buildings are put together, their constructional methods, and the ways in which materials work. This informs the techniques that can be employed in maintaining historic fabric and addressing building defects. Failure to understand different building technologies can lead to substantial harm, for example where hard mortars are used to repoint historic masonry buildings. Utility value is a primary concern in making decisions. It is clearly essential that places and buildings adapt so that they are fit for modern uses, needs and demands while also retaining their cultural and heritage value. If the requirements of owners, occupiers and users of buildings are not being met, then they may fall vacant and be at risk. This is also true at an area level, as evidenced by declining commercial and industrial quarters of some towns and cities. The challenge here is to help the area to adapt, physically and economically, so that it is again able to attract investment and become viable. Indeed, heritage can be a positive stimulus to physical and economic development in such areas. Increasingly, it is also necessary to incorporate new technologies into buildings and areas, such as high-speed communication infrastructure and fire protection measures. Judgments are made against the context of various social, economic and environmental considerations. This includes the potential and realised values of the heritage asset itself (social, economic and environmental). But it also includes the wider context. For example, the socio-economic context, local land economy and local infrastructure all fundamentally affect the viability of heritage places and buildings for accommodating different uses. What is viable in one place may not be in another. Considering economic viability and ongoing use is at the heart of national and international planning policy on heritage protection. An important part of conservation practice is to understand local land economies and their implications in terms of the viability of schemes involving heritage assets. Local economic circumstances are usually key considerations in making informed judgments and in putting together viable projects for heritage assets. Heritage funding bodies frequently require business plans as part of funding bids, to demonstrate that a project is financially sustainable in the longer term. Where there are serous viability problems in bringing heritage assets back into use, creative solutions are required. These can include things like partnerships, funding bids, ‘meanwhile’ (or interim) uses and crowdfunding. Judgments have to take account of different legislative frameworks and the underlying policies that interpret and expand on them. Heritage protection and decisions on heritage take place against the context of planning legislation and policies. It is essential to understand heritage protection legislation and policy and the ways in which these are an integral part of wider planning legislation and policy. Decisions on heritage must be taken against this wide planning context, as set out in planning policy. In addition to planning legislation, there are other legislative regimes which may need to be taken into account, for example relating to health, access, highways and building regulations. Part of the challenge for professional conservation practitioners is to find solutions to meet sometimes conflicting legislative requirements. An understanding of design of places and buildings is an essential part of understanding special interest or significance, as well as any prospects for change. Successful heritage projects demand a capacity to communicate and engage with clients, communities and stakeholders from diverse backgrounds, so they can contribute to the process. Design requires an understanding of how local, national and international influences have all contributed to creating distinctive local environments. Where alterations or additions are proposed to historic buildings, or new development in historic areas, it is necessary to design for the specific context. This is not about imitation. Indeed, historic character is often based on diversity, resulting from changes over time. Rather, it is about site-specific design, complementing the special interest of the area or building with features or experiences that can often help people better understand, appreciate and enjoy that heritage, as well as benefit from it in other ways. The outcomes of community and stakeholder engagement will provide information on the local area, local economy, local issues and the needs and aspirations of local people. Such information is essential from the earliest stages to ensure that judgments on historic places and buildings are well informed. Options for moving forward may be tested with the community and stakeholders, to create a more interactive and participatory decision-making process. Balanced judgments must be made against a wide context of considerations and prospects. Overall, the challenge is to reconcile the cultural and other values of heritage against a complex local context, whilst complying with different legislative frameworks. In offering advice, a narrow focus on one or two priorities on their own – such as special interest or significance – can lead to inappropriate, intransigent and unrealistic plans, projections or decisions. This can harm the reputation of heritage and conservation practice as well as threaten the survival of heritage assets and resources. Conservation is therefore a complex and creative activity. It is about finding creative solutions to conserve historic buildings and places and ensure they meet their full potential as part of the fabric of our society today. For local authorities making decisions affecting heritage, it is essential to employ professional historic environment specialists, to ensure that decisions are made lawfully, including application of special statutory duties relating to heritage.